Markus Gunter, N26 Bank’s Managing Director and Alex Weber, Head of International Markets, who led the banking license project, give insight on how N26's banking license empowers our product. Alex: Markus, do you remember when you first came into our fintech office @N26? Markus: HAHAHA, never forget, yes — I was the only one wearing a suit (although at least no tie) — and people where shooting around with toy weapons. I instantly knew I had made the right decision to join N26. What exactly is a banking license? 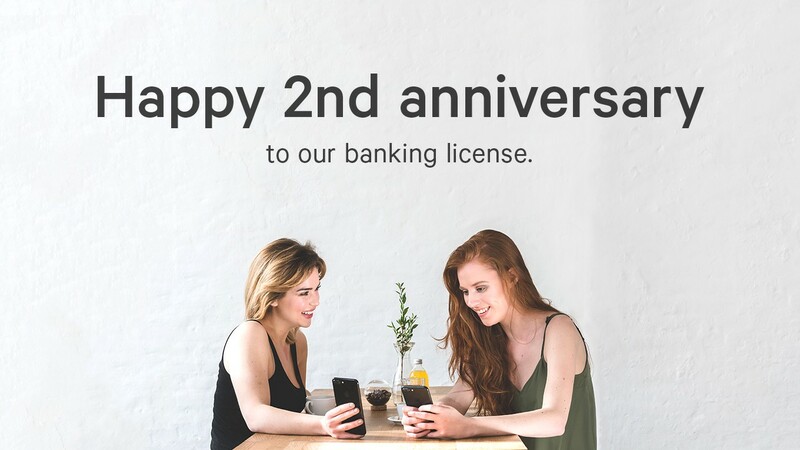 Alex: It’s been two years since we got our banking license here at N26, Markus you’re MD of the bank — can you breakdown what a banking license means? Markus: Well, banking is all about trust. So the regulators make sure you know what you´re doing before you can offer banking services with your own bank. If you are quick (and we were very quick) — after a 9 month application and verification period — you get the permission by Bundesbank and European Central Bank to offer banking services with your bank. And you can use it all over the European Union to do business! Why did you decide to apply for a banking licence? If you really want to disrupt an industry, one takes a larger part of the value chain. In particular being fully in charge of the technology also in the background helps us to build the best and most modern product. Markus: Holding our own N26 Bank license we offer our customers the best experience in Mobile Banking and bring our customers’ trust to the next level. N26 Bank is a fully licensed bank and part of the required deposit insurance. This means that deposits are insured up to 100.000€ for every customer. We are audited on a regular basis. The regulatory standards are very high. We need to be extremely disciplined. It challenges us to get better every ay. We are working very hard everyday to meet the needed requirements. And it makes us proud to be one of the few FinTech companies who is able to do that! Alex: Two years ago to the day, what do you remember most vividly? Markus: HAHAHA, with our great team here — anytime!